Dr Jon Golub is our in-house Orthodontist. He provides complimentary orthodontic consultations for all of our patients. Dr. Jon is specially trained in interceptive orthodontics. His philosophy is that "catching problems and correcting them at the right age will lead to a healthier and more normal dental development." Dr. Jon also has advanced training in Invisalign for children and adults and Incognito (hidden braces on the back of teeth). As an adult, you may remember your headgear; don't worry, no headgears are used in Dr. Jon's practice. A native of Boston, the doctor received his BS from Tufts University. While in dental school, he was elected into the omicron kappa upsilon dental honor society which recognizes academic and clinical excellence. Dr Jon completed his two years of orthodontic specialty training and received his certificate in orthodontics from Tufts Dental School as well. After meeting Dr Jamie during her dental school interview, they married and following graduation they moved to New Jersey to raise their family. Dr Jon joined Dr Jamie's dad, Dr. Diament, in the practice of orthodontics in 1987. Since then Dr Golub has been in private practice. He is an active member of the American Dental Association, the American Association of Orthodontics, as well as being active in state and local dental and orthodontic societies He is on staff at Englewood hospital and he is the past president of the Fort Lee Rotary Club. 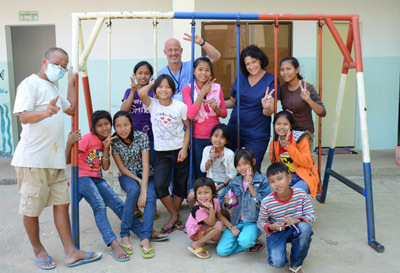 Dr Jon spends several weeks a year accompanying Dr Jamie to third world countries on dental outreach programs treating children and adults with tooth pain. 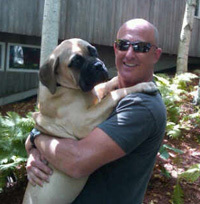 When not straightening teeth you can find Dr Golub biking the roads of Bergen and Rockland county or walking his best friend, a big loveable bullmastiff named Mr. Wilson. For more information visit Dr. Jon's web site at www.FortLeeOrtho.com.